” Things You Can Do Online To Help Animals Adverts contribute towards site running costs, but currently may not fit with the site ethos. We will continue to work on a solution. How Else Can I Help Animals? If you are an animal lover and want to know what you can do online to help save animals from suffering, there are lots of things. The internet offers numerous ways you can either earn/raise funds for animals for free, help find homes for animals, or rescue spaces to save the lives of pets on death row, help raise awareness of the issues, or help animals in many other ways. You can play games on the web, use apps, social media, and more. 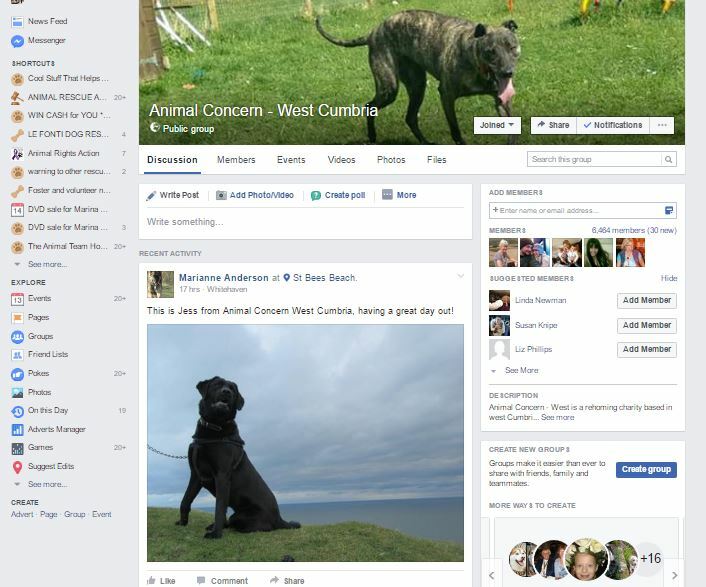 It is extremely helpful for an animal rescue to have a social media presence, where their group or page is kept updated. Volunteers are often needed to do this and these can be in short supply. It is a very effective way of engaging people, gaining support, spreading awareness, and helping re-home and save more animals. You can write the stories of the animals at the rescue, write of their progress, appeal for people to adopt the pets, and for foster homes and sponsors, and use lots of pictures and videos of the animals. You would be saving lives if you did this, as adoption rates would go up, meaning life saving rescue spaces would be made available. You can help stop animal suffering by signing online petitions and taking part in online email campaigns, and other campaigns. There have been many successes over the years due to pressure put on organisations through campaigns and petitions. Writing to companies questioning why they include animal suffering in their products is an effective way to instigate change. Ask companies who make food with animal products in why they do not make products that everyone can enjoy, even vegetarians, vegans and people with food allergies and intolerances. Point out to them how their profits would increase if they opened their food up to these new markets, rather than excluding them. If enough people do this, change will come. Companies do not know what people want, unless we tell them. Contact charities who fund animal experimentation asking them why they do not instead invest in humane methods, and telling them you – and many others you know – will never support them if they continue to support animal cruelty. Tell them you will actively campaign against them to lose them support. Contact retailers who sell real fur, telling them you – along with others – will boycott them and actively campaign against them to lose the customers, unless they stop selling real fur. See the Campaigns and Petitions page for advice on how to avoid scam petitions and how to automatically fill in petitions, avoiding having to enter your details each time. You can save abandoned animals lives by cross posting. Animal cross posting – also known as sharing and networking – is sharing posts you see on social media about animals needing rescue spaces at animal rescues. The animals only have a limited amount of time to find a rescue space before they are put to sleep by the local authority pound or shelter. More cross-posters are always needed. Different countries, states, and municipalities have different laws and rules about how long the local authority hold animals before they are put to sleep. In the UK it is seven days, but in the US, it is much, much less. Without pound helpers / pound pullers and cross posters, many more innocent abandoned animals would die. For more information, see the Cross Posting page. 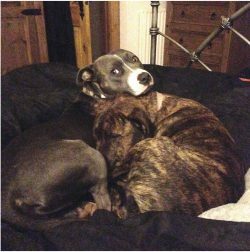 Image: The dog I fostered (below left) was in a local authority dog pound at the other end of the country to me. If the pound puller had not gone into the pound and got his details, and people hadn’t shared those details on social media, he would not have found a rescue space and would not be alive today. There is also the life saving transporters to thank for transporting him up the country to his rescue space. There are also games that you can play online, apps you can use, and other online activities, that all earn funds for animal causes while you play. Plus you can answer questions to earn pet food and cat litter for shelter animals. Visit the Click To Give Sites, Games That Give, And Apps That Earn page. You can help raise awareness of animal cruelty by sharing information and images you find on this website, or other animal advocacy websites, on social media. You can also let people know how they can help stop animal cruelty buy sharing information you find on this, and other animal advocacy sites. When posting links to website pages on sites such as Facebook, Twitter, Instagram, etc, write something when posting them that will make people want to click on the link to find out more. If people do not understand what your post is about, it will be lost on them, so make sure you give a good, clear explanation, with good spelling and grammar, when you post it. If people cannot make sense of what you have written, your post will be lost on them. If people read your post, it may make them feel like they want to do something to help stop animal abuse. It is therefore good to also share links to web pages about how they can help stop animal cruelty. Share petitions you have signed and campaigns you have taken part in, along with an explanation of what they are about. For more information, see the Help Stop Animal Abuse By Raising Awareness page. Image: Use campaigns and petitions to change things for the voiceless. If you see evidence of animal cruelty on the web that you want to report, find the best way to report it, so it is investigated, here. 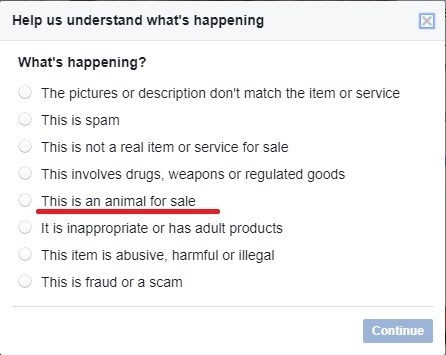 If you see an animal for sale in a Facebook selling group, there is the option to report it to Facebook. You click the arrow at the top right of the post, then select “Report Post” from the drop down menu. Then select ” This is an animal for sale”. If the person has not done this through the Facebook Marketplace, unfortunately the option is not there (correct at time of writing). Post in pet selling groups encouraging people to save innocent lives by fostering or adopting a rescued pet. Do this tactfully and respectfully, otherwise you could be blocked from the group. Provide them with links to rescues they can adopt from, such as this list. 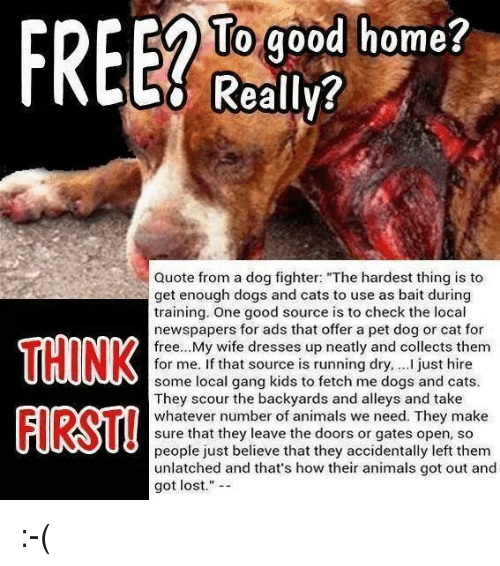 Also alert people to the dangers of advertising pets free to a good home or selling them for a low price. 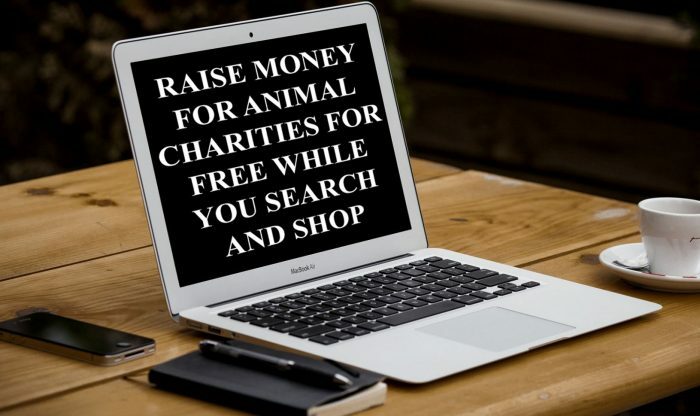 By doing your shopping through fundraising websites, you can raise money for animal charities with no cost to yourself. 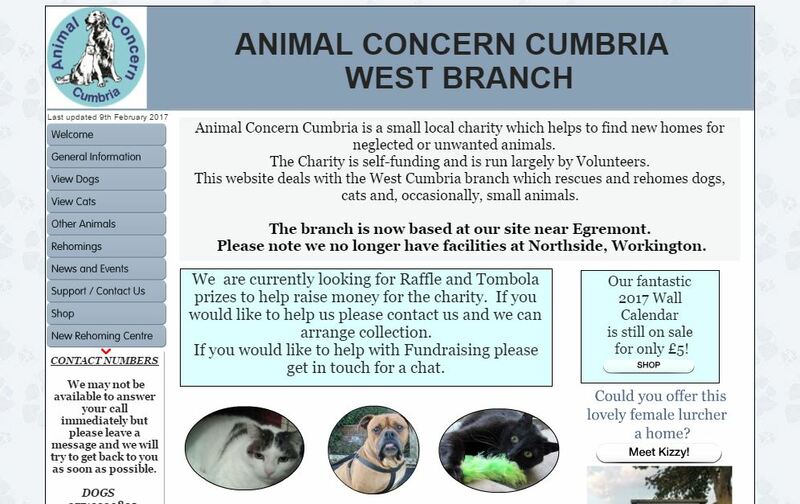 Thousands of different well known retailers and are registered with the fundraising sites on this page, as well as numerous animal charities. All you need to do is choose the animal charity you want to raise money for and start shopping online through the site. You do not pay any more than you would if you had gone directly to the retailers’ site. For more information, see the Shop through fundraising websites page. 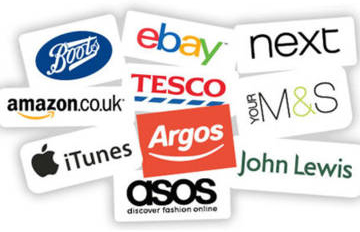 Image: You can shop with the retailers below, and many, many more, through fundraising shopping websites. Charity search engines donate money to the charity you choose every time you use them to search the web, or shop on the web. The amount depends on which charity search engine you use. It means you can earn money for animal charities for free as you go about your normal business online. Only very small amounts are earned by each search, but it is definitely worth doing, because they mount up over time, and it is totally free. Whether using a PC, laptop, Mac, tablet or phone, you can raise money this way. There are often apps you can use if searching on a mobile device. The charity you want money to be donated to has to be registered with the charity search engine, so if you know of animal charities that could benefit, tell them to register with these search engines. For more information about about how you can use different charity search engines to help animals, and how animal charities and causes can join these search engines, see the Charity Search Engines page. Help animals by buying from online animal charity shops, here. Whether you know a bit about journalism or not, you can use your mobile / cell phone as an effective tool against animal cruelty and suffering. The main stream media (TV) do very little coverage of animal rights events and activities. They are reluctant to cover animal rights issues because they do not want to lose the revenue from advertisers of products that involve animal suffering, such as meat, dairy, eggs, and pharmaceuticals. Because the message cannot get to people through main stream television media, it is up to people who want to help stop animal suffering to flood the internet with animal rights issues. People can use their mobile or cell phones to film and/or report on animal rights issues and events everywhere that would never be covered on television. Whether it is to document the Save Movement activities, film animal rights speakers giving talks, or to cover any other animal rights issue, filming it and/or reporting on it will bring it to many more peoples attention. It does not even matter how big or small an activity is. You can be a contributor to a network like JaneUnchained.com, or you can have your own YouTube channel. Be sure to share your work on social media too. 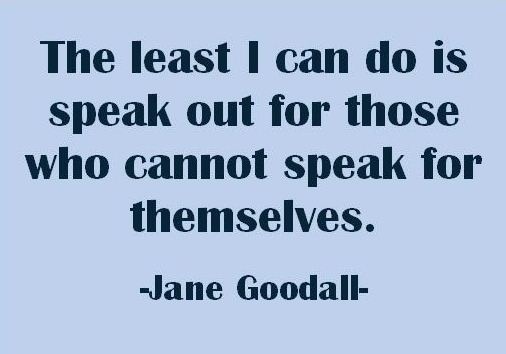 Have a look at JaneUnchained to see other people using their cell and mobile phones to bring animal rights to the fore. A piece of advice is that viewers usually decide whether a video is worth watching or not within the first three seconds, so make sure you hook them in within that time. One thing that is recommended is to invest in is a stabiliser for your phone like this one or this one, as shaky jerky camera work puts people off watching,. The better the camera work, the more professional it looks. Do not be afraid to speak your feelings when filming. You do not have the constraints on your coverage that you would have if you were trying to get it shown on TV. At the same time, keep in mind that you do not want to leave yourself exposed to being sued. It is important to explain to people what is happening in your videos. Even if you do not want to be a reporter yourself, maybe a friend of yours would do the reporting. Or you could use an app to add captions / subtitles to your video. If people do not understand exactly what is going on, you will quickly lose them as viewers. When you post your video, make sure you write an explanation of exactly what is happening. 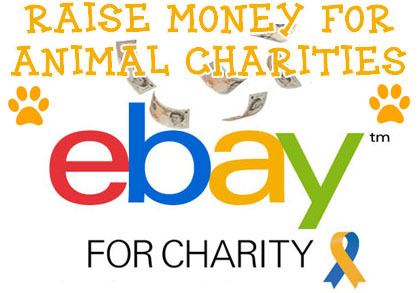 If the animal charity you wish to buy or sell on ebay for is not registered with ebay for charity, contact them and ask them to register. That’s what I did with Soi Dog, the animal charity that saves dogs from the meat trade and strays in Thailand, and they have been benefiting ever since. For more information, see the Ebay For Charity page. You can help save animals from suffering by helping animal charities and rescues fund raise online. Most animal rescues and charities have social media pages with supporters on them. 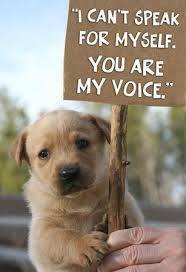 Many are in need of volunteers to run fundraising pages or groups for them, especially small, less well known rescues. If the charity or rescue already has an internet fundraising page, you could offer to help manage it, as they often need volunteers. If they do not already have a fundraising page, you could set one up and run it. Internet fundraising pages and groups are especially helpful to small animal charities and rescues that do not have the fundraising power of well known organisations. On this page you will find many different ideas of online fundraising events to run. By trying the different events, you will get to know which events your supporters prefer and respond best to. Popular fundraising events include 50/50 draws (50% of the money goes to the rescue, 50% to the winner), and online animal charity auctions and sales. 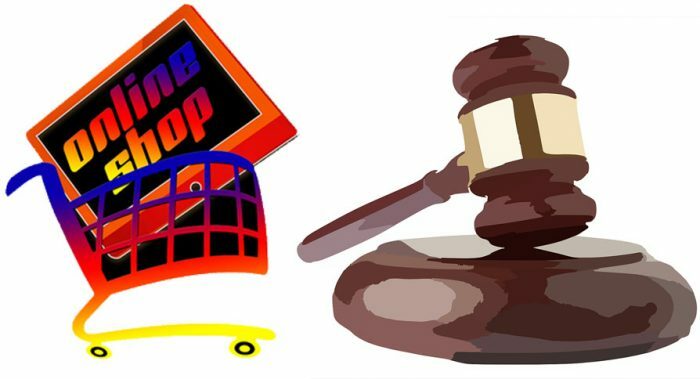 The auctions and sales are a fantastic place to buy gifts for friends and family, and it’s a great feeling knowing your money has gone to such a good cause, rather than wealthy bosses of retail chains. If you would like to browse current online animal charity auctions and buy-it-now sales, see here. You may also be interested in this page, where you can find many online animal charity merchandise shops. If you want to run online fundraising events that offer large monetary prizes you may be required to either keep within The UK Gambling Commission rules, or purchase a gambling licence. For more information, see the Internet Fundraising page. Image: Raise funds for animal charities and rescues by running an auction on social media, or use one of the other online fundraising ideas on this page. There are many other ways you can help save animals from cruelty and suffering. It does not matter what type of personality you have, introvert or extrovert, shy or outgoing, there is something absolutely everyone can do. Have a look at all the different things you can do, here.